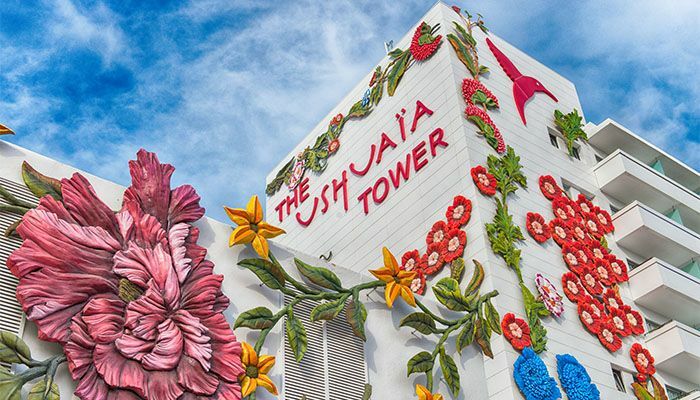 The Ushuaïa brand revolves around glamour, exclusivity and innovation that caters to a new crowd of tourists who want to experience a luxury vacation in an Electronic Music Lovers Paradise. 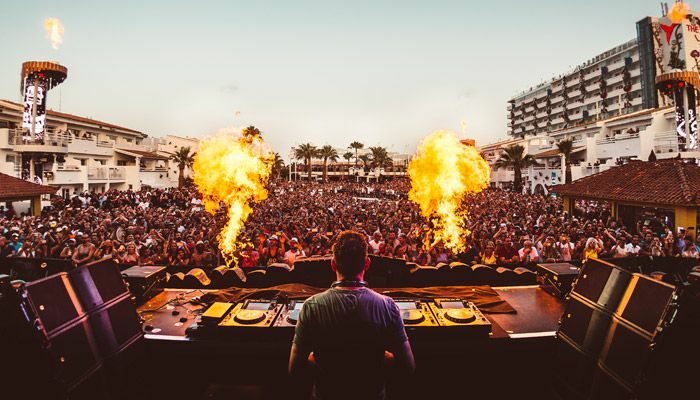 Celebrities, VIPs, and Clubbing enthusiasts from around the world travel to experience performances from the world’s best DJs and relax in world famous party destinations. 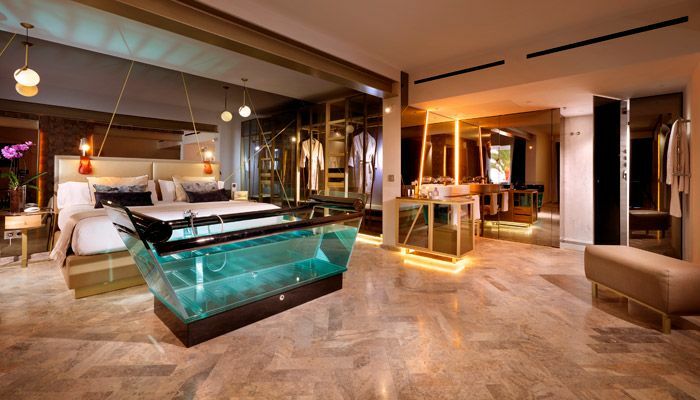 A unique and captivating concept that goes beyond accommodation and strives to create the best leisure and luxury experience. Unparalleled daytime parties, combined with a luxury stay, provide guests with the most exclusive and personalized vacation experience. 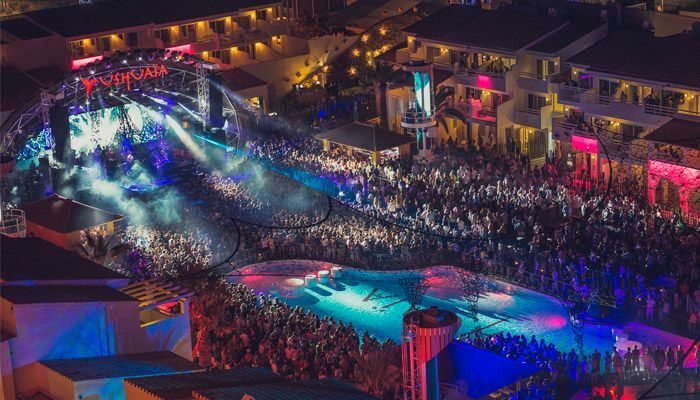 Ushuaïa Ibiza Beach Hotel offers a unique combination of the best music and entertainment for adults, featuring the world's best DJs, an exclusive design, the latest technology, VIP service and an exciting variety of gastronomy. 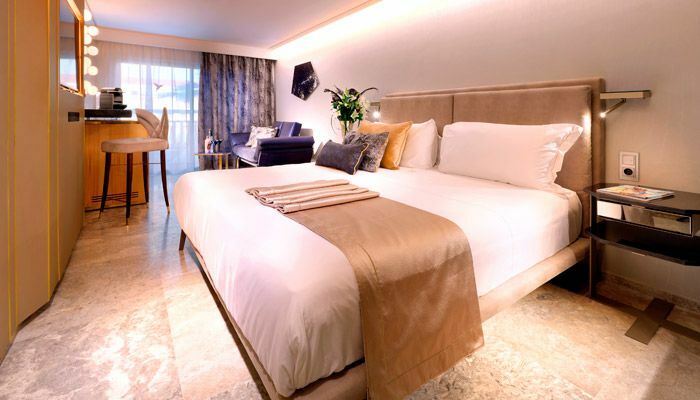 All suites are exclusive and luxurious – guests can enjoy spacious rooms with stunning views and bedrooms, outdoor showers, whirlpool baths on the terrace, swimming pools, stunning rooftop bar, and an iconic stage. 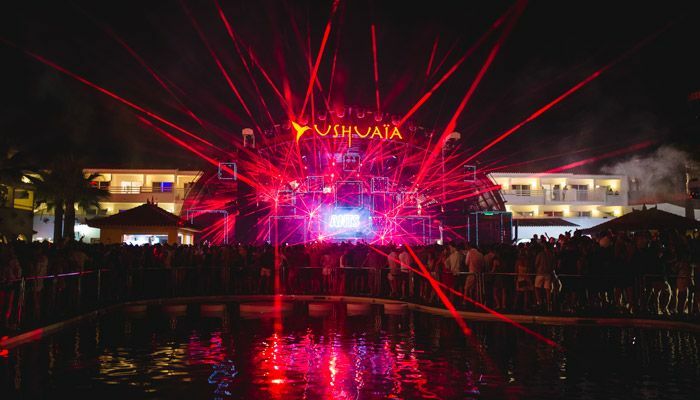 Ushuaïa Ibiza Beach Hotel's open air daytime parties. Unparalleled entertainment offering state-of-the-art production and technology. 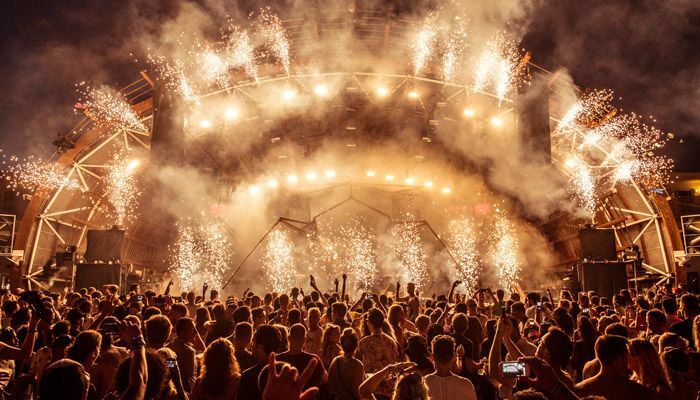 With live performances of the top DJs in the world, the most exclusive day and night ambience in a modern setting and designed with all kinds of comforts, luxuries and VIP services. 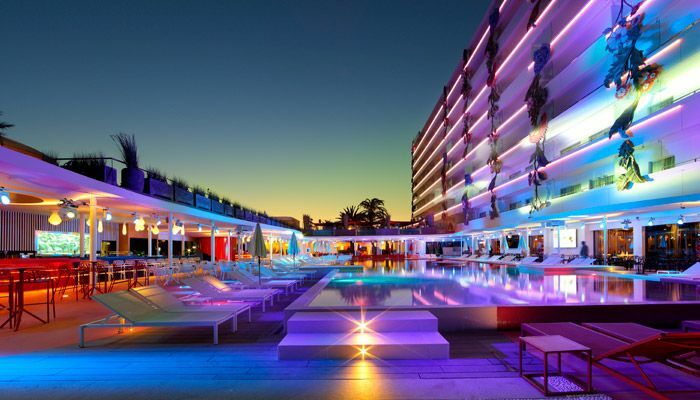 The new generation wellness service at Ushuaïa Ibiza Beach Hotel has created a brand-new spa concept that meets the exclusive requirements of its clientele: "Xtreme wellness for crazy living". Guests can choose the desired treatment, designed in the transgressive spirit of Ushuaïa to hydrate and stimulate body and soul. The exclusive massages involve champagne for a touch of sophistication or coconut oil for a summer feel. The Ushuaïa concierge service makes sure to please guests by booking tables at the most fashionable restaurants and most prestigious night clubs, by getting on the guest list of exclusive private celebrations, renting luxury vehicles and organizing shopping at the most exclusive stores. 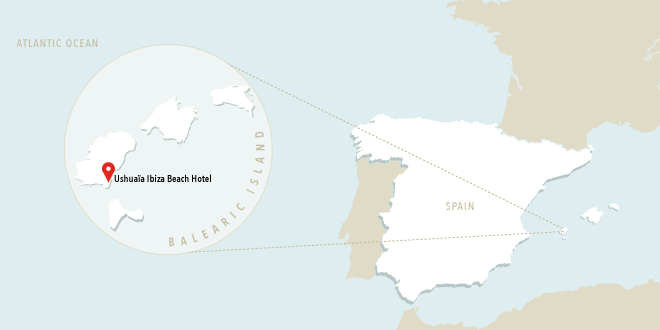 From virginal nooks only accessible from the sea, to beaches where the most beautiful people gather in beach clubs. 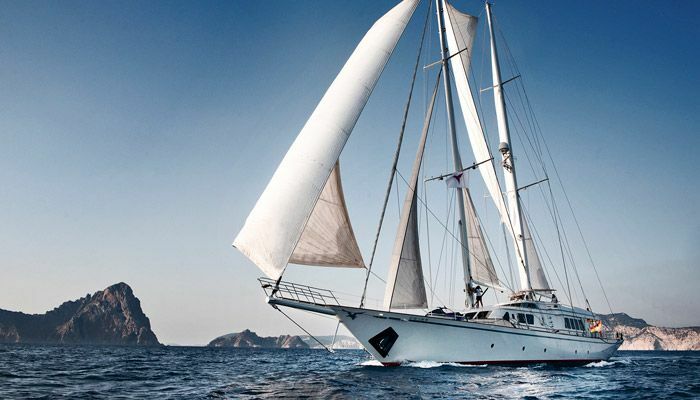 The Aiglon sailboat and Lymani yacht are some of the luxurious and spectacular vessels the Ushuaïa Ibiza Beach Hotel provides, so you can discover the most beautiful areas of the Ibiza coastline. 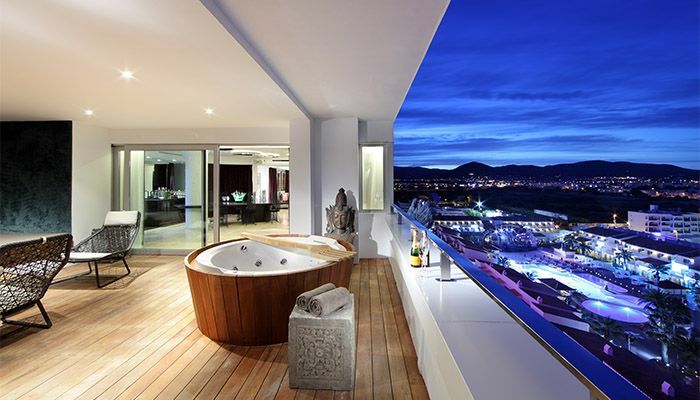 An exclusive experience within the reach of the few and privileged. The Ushuaïa brand has unveiled a special collection for the Ushuaïa generation, and this year launches their first ever kidswear range. Payful, fun and effortlessly cool, the collection includes Ushuaïa's signature T-shirts, vests and hoodies in various styles and colours for the whole family.